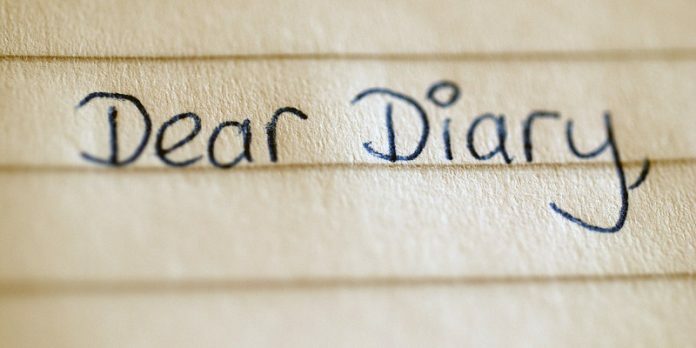 Despite having a rather childish connotation, keeping a diary or a journal is actually extremely beneficial to anyone. A growing body of research is suggesting that writing your thoughts down on paper helps you improve emotionally. There is no limit with writing, which is what makes it such a beautiful and healing process. But rather than putting pen on paper, for most of us today it will probably feel more natural to use a smartphone app instead to quickly type out our thoughts. We no longer carry notebooks around, but we do take our smartphones everywhere with us. And luckily, there are a number of dairy and journal apps you can use on your Android device. Here are some of the best waiting for you out there. 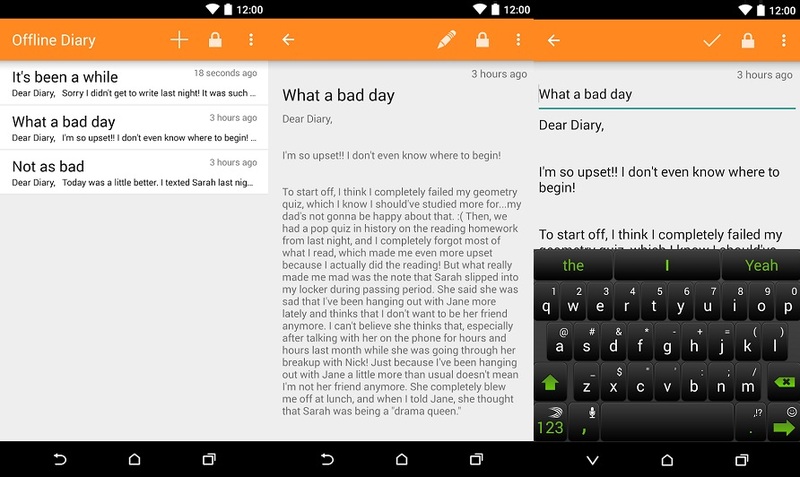 A straightforward diary app with a nice interface and a few extra goodies to take advantage of. User-friendly UX that’s very intuitive to use. Simply tap the “+” floating button to start your first journal entry. You can add things like Mood emoticons, activity status and even weather information to your post. 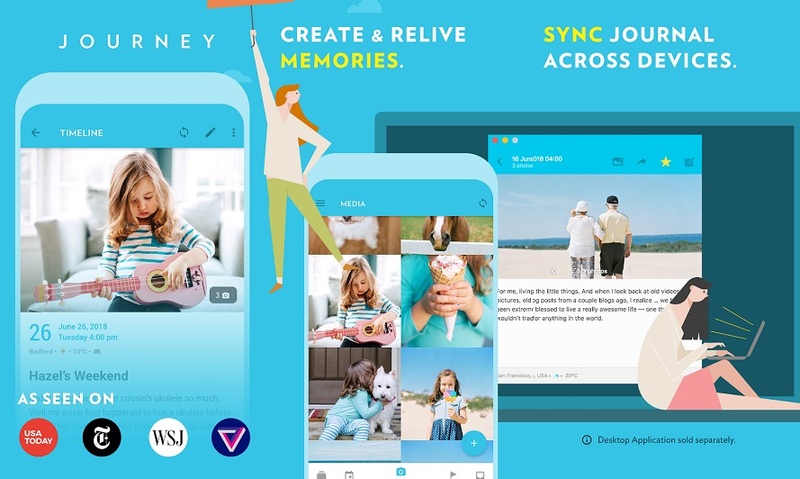 The app lets you integrate things like photos, videos, files, as well as audio files into your diary entry. Journey Diary also features a Statistics tab where you can view things like how your Mood has evolved over time and more. A multi-platform diary app that can double as an event and appointment calendar, so you can keep track of what’s going on in your life. You can write short diary/calendar entries to which you can attach tags, mood, weather info and location, as well as photos. Three UI themes to choose from including Light, Dark and Black (AMOLED). Users can also change the UI color and UI accent color. Plus, you get a ton of other customization options. Let’s you keep your entries private, by providing the option to add a security code (PIN). An atypical take on the concept of dairy. Instead of free-flow writing, this app challenges you to answer a series of questions. What would you answer a year from now? Will your answers be different? The app features a clean, pristine interface. The absence of clutter allows the user to concentrate on what really matters and like learning how to manage your feelings or increasing your creative energies. The app asks you a question a day like “Are you happy right now?”. Then a year later, you will be asked the same question, so you can compare the answers. Users can add their own questions. There are different themes available, and you can use the app other languages including French, Dutch, Romanian or Polish. There’s also a community, where you can interact with other users of the app by asking questions. A journal app that wants to help you build new, better habits, as well as help you keep track of your evolution over time. Interactive and modern design that lets you quickly add quick activities. 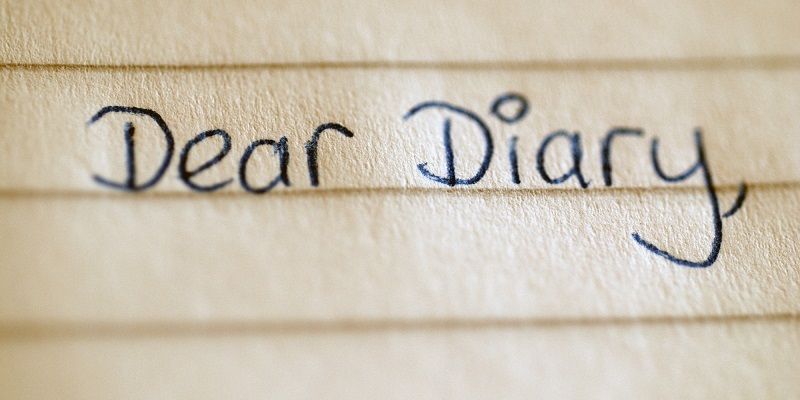 These are short diary entries where you only need to add the Mood and your current venture. The app features a Stats tab where you can get an overall look at your Monthly Mood, see your achievements and your longest best day streak. Daylio comes with the option to change colors of Mood emoticons, as well as set a PIN lock for protection. 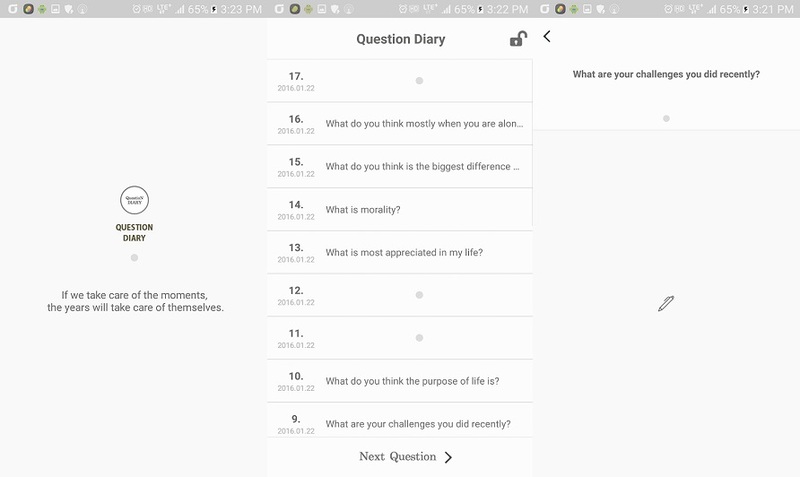 A diary app that allows more comprehensive posts, so you can keep track of your thoughts and feelings in a fun and simple way. 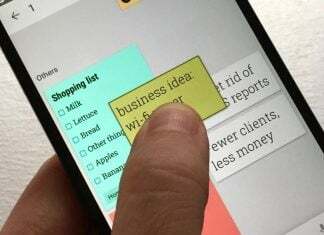 The app provides you with a clean, distraction-free interface where you can focus on writing. Add all kinds of additional data to your post including location, weather info, tags and photos. Day one lets you export content to JSON and plain text (PDF option is coming in a future update). Additional features include powerful text formatting with Markdown, as well as IFTTT integrations. The app also includes the option to add a Passcode. An app based on the idea that being grateful about small things in life helps us get better at dealing with everything existence throws at us. 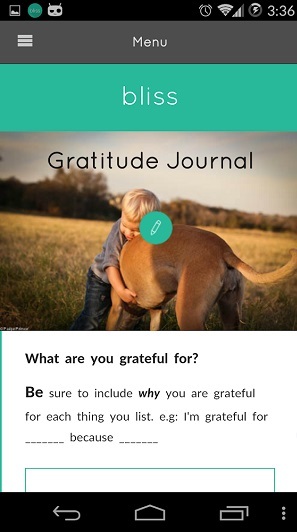 An easy way to help you keep track of what you’re feeling grateful for every day. 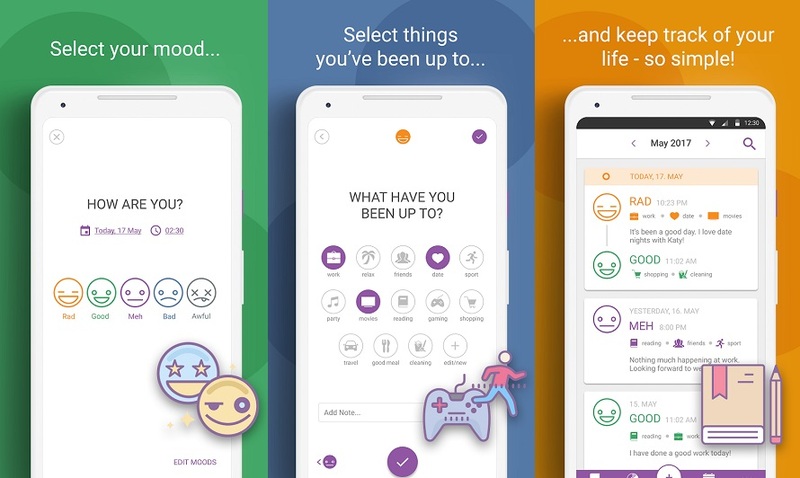 The app includes a series of “interventions” which have been developed by psychologists in order to raise happiness levels and desirable mental traits. For example, you can learn to practice “Could Be Worse”. Bliss also features a Resources pages, where you can discover interesting books that can help you become a better human. 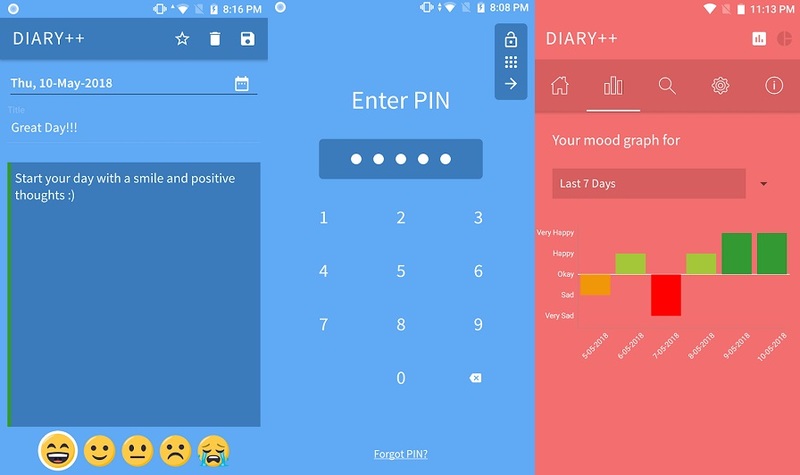 A diary journal app that wants to convince you to spend five minutes a day using it. Designed with the purpose of helping you focus on your attention on the good that’s going on in your life. Spend five minutes a day jotting down your daily experiences and the things that at the end of the day, you’re grateful for. 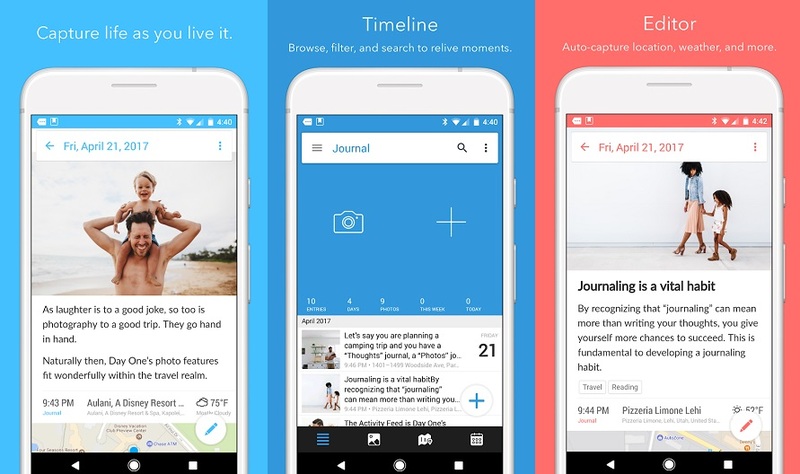 App lets you add photos to your posts and also gives you the option to see a photographic timeline view of all your images. The app serves up an inspiring quote each day and weekly challenges that users can share via social media. 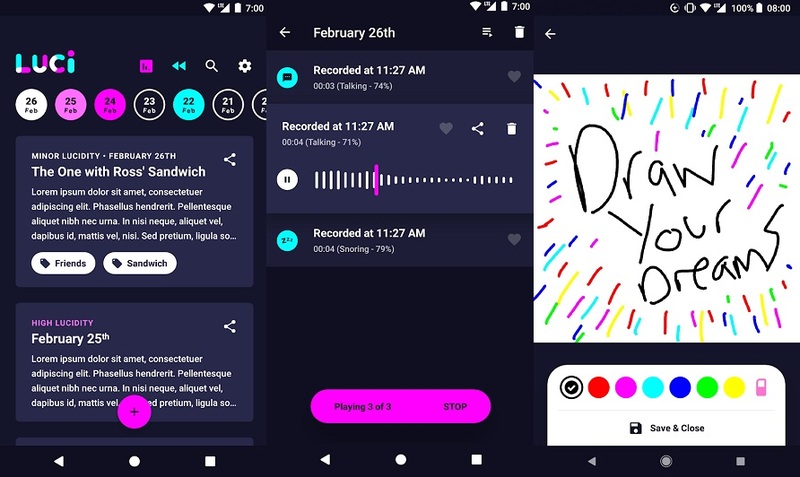 While the majority of the apps in this list are standard diary apps, Luci is actually a dream journal that comes boasting a fun, colorful interface. Did we mention the cute interface? The app also comes with a sleep recorder for those who want to record your night babblings. Luci is also usable as a normal diary if you want that. It comes with backup options, a lock functions and the ability to set reminders. The app also includes a fun sketchpad so you can draw your dreams. A diary app for those who like flashy, colorful themes and are fans of Material Design aesthetics. Secret Diary features a simple way to add content. Simply tap on the floating “Pen” icon to start writing and to add your mood. 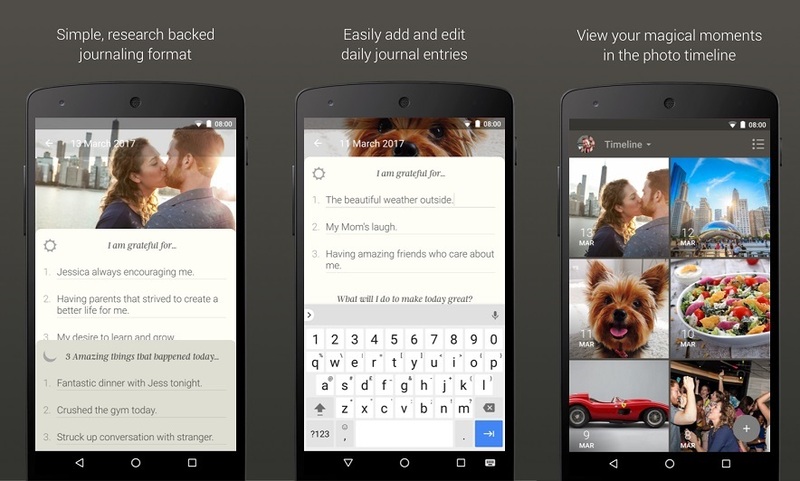 The app features a pristine UI that’s design to help you focus on writing. It also offers a pass lock, so other members of the household don’t have access to your diary. A simple alternative for those who want to keep a diary in a more classic way. It features a simple UI and the basic features. Don’t want to worry your diary entries will be leaked online at some point? You don’t have to. 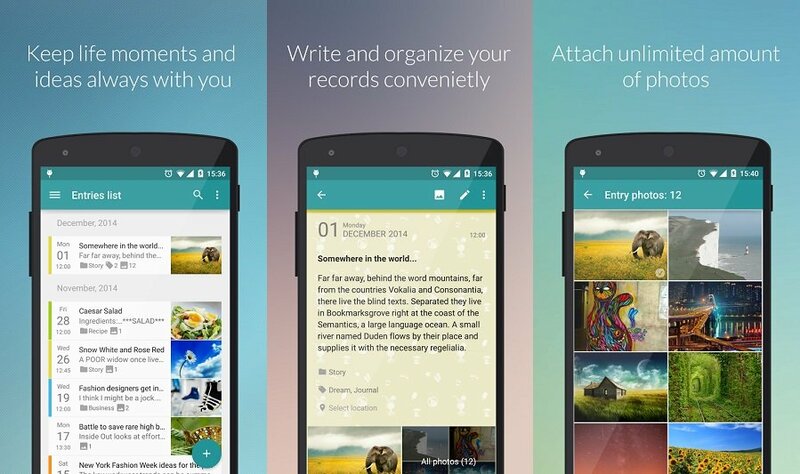 With offline diary you can keep your journal entries private and…offline. It features a pass lock, so other members of the household don’t have access to your diary.